Maison Bianco – Stuart Paskin Latest Scam Site! Author OllyPosted on August 20, 2018 August 28, 2018 Categories Scams4 Comments on Maison Bianco – Stuart Paskin Latest Scam Site! 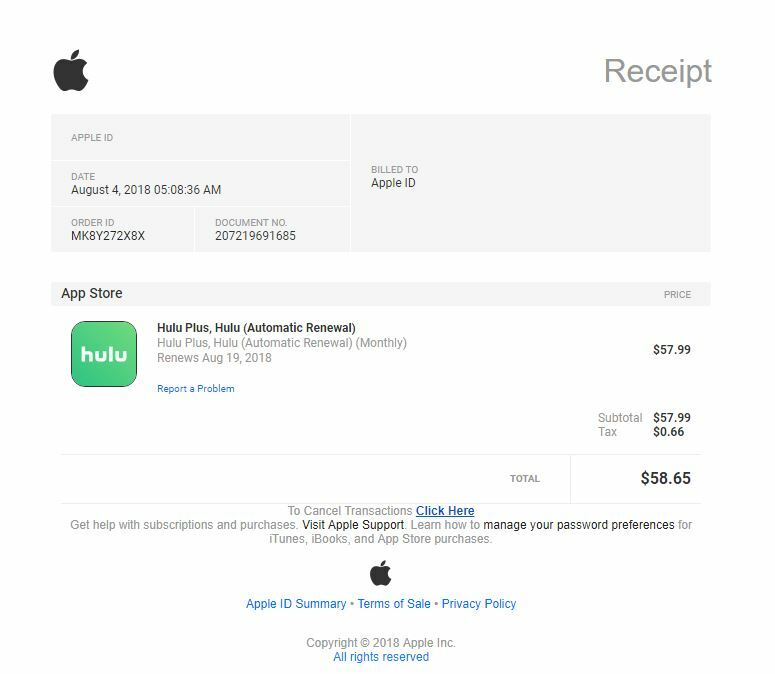 Apple iTunes Hulu Plus Email Scam! Author OllyPosted on August 8, 2018 August 8, 2018 Categories ScamsLeave a comment on Apple iTunes Hulu Plus Email Scam! WHOIS GDPR – What is going off? Urgh. Another GDPR post I hear you cry? Well this one is specifically about WHOIS information changes since GDPR came into force. Author OllyPosted on July 3, 2018 Categories NewsLeave a comment on WHOIS GDPR – What is going off? Author OllyPosted on June 4, 2018 Categories ScamsLeave a comment on Email Phishing Scam – uk-c.co – Very sneaky!